Today on the BCP Show we talk with The Blue Collar Guy, Sam Johnson. Do you struggle with hiring? Listen up! Sam shares how he changed his approach to hiring and training to solve the problems his company was having and get the right people through the doors. If you’ve struggled with hiring, it may be time to change your approach and mindset. ~Don’t forget, Blue Collar Proud: Ten Principles for Building a Kickass Business You Love and Blue Collar Marketing:From Start-Up to Success are both available on Amazon. Check ’em out and let us know what you think. ~Love the podcast? Leave us a review over on iTunes! ~Join the conversation over in the BCP Nation Facebook Group. 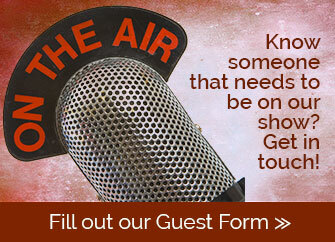 The opinions and advice given by the hosts and guests on the show or on the web site are just that - opinions. You should always consult with your own legal or financial team before making any important business decision. Be aware that many but not all of the products and links on this site and in the show may be sponsored or part of an affiliate program whereby we receive some kind of compensation.